Liberty Maintenance, Inc. was founded in 1986 by John and Nomiki Frangos. Through many years of hard work, determination and sacrifice, the company evolved from small highway overpasses to large superstructures over navigable water ways. Liberty has completed substantial contracts including the Verrazano Narrows Bridge, the Triborough Bridge, the Goethals Bridge, the Robert Moses Causeways and the Whirlpool Rapids Bridge all located in New York. Liberty's has also completed contracts on the Anthony Wayne Bridge in Ohio , The Menomonee Valley Bridge in Wisconsin, the International Bridge in Michigan and many others througout the United States. John's family has always been devoted to working together in order to keep the company thriving. The Frangos’ attribute the success of the company to good communication, lots of hard work, and a hands on approach. You'll always find someone from the family at the job site. Upon John's retirement in 2009, and through years of succession planning, Liberty Maintenance was able to seamlessly transition into the next generation of owners. John's sons "Manny" and "Nick" now maintain majority ownership of the company. Melina, Chris and Irene manage the interior administration of the company. Together the family makes a wonderful team, and they continue to implement the work ethic that John has instilled in them from an early age. Liberty Maintenance is proud to be known as one of the most respected surface preparation and coatings experts in the bridge cleaning and painting industry today. 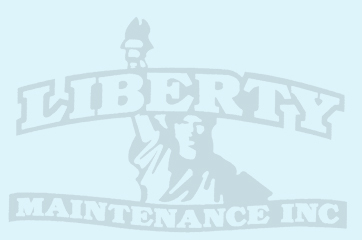 For more information on Liberty Maintenance, check out our Experience and Services links!